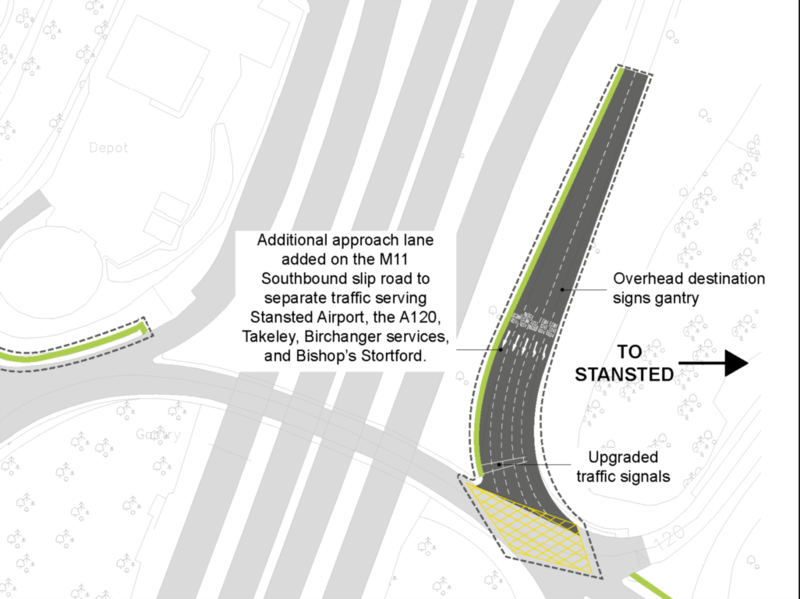 In response to feedback received at two public information events held during the summer 2018, and following further traffic modelling and alignment analysis, we have revised the design of the highways layout at the junction of A120 with Birchanger Lane to retain direct access to Bishops Stortford and A120 West. Please note: This revised plan replaces both the initial proposal which restricted movements from Birchanger Lane to left-only, and the suggested alternative for a spur-link road for buses, taxis and emergency services. This new design will realign Birchanger Lane to allow road-users to continue to make direct movements towards A1250 Dunmow Road and the A120 west with a single traffic signal for all movements. The scheme received permitted development status from UDC and is expected to go to construction in late summer 2019 for a duration up to 2 years to 2021. The area around Junction 8 of the M11 is increasingly congested and lacking capacity at peak times. 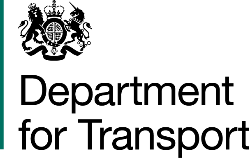 Planned developments in the north of Bishop’s Stortford and local growth planned in East Herts and Uttlesford will lead to an increasing amount of traffic using the junctions in the years ahead as London Stansted Airport continues to grow. Since 2015, we have been investigating improvements to the A120 and slip road access to Junction 8 of the M11. Our studies show that the best short- to medium-term solution would be to improve off-slip lane capacity onto Junction 8 of the M11 with a widened A120 signalised junction, to help meet future network demand. Following a successful bid in 2017 for the Department for Transport’s National Productivity Investment Fund, we are now in a position to move forward with our plans to improve Junction 8 of the M11 and A120 West. Replace the existing A120/A1250 (Dunmow Road) roundabout with a signalised junction to address congestion issues and meet forecast traffic demand up to 2036. Widen the A120 eastbound and westbound to three lanes on the approach to the new junction with the A1250 and introduce a dedicated lane westbound for A1250 traffic as well as a new right-turn lane for traffic for Birchanger Lane. Realign Birchanger Lane at the new A120 junction within the highway boundary and a safe staggered distance between the A1250. The revised highways layout will enable the full range of traffic movements in and out of Birchanger village to be retained as the realignment of Birchanger Lane will allow direct traffic towards A1250 Bishop’s Stortford and the A120 west with a single traffic signal phase for all movements. Traffic from Birchanger village will not have to use the route via the M11 Junction 8 roundabout, as initially proposed, and the realignment of Birchanger Lane should not impact the junction’s effectiveness in the short-term. Create a new footway to Birchanger village with on-road cycleway to improve facilities for people who walk and cycle. This will provide improved connections to the National Cycle Network (NCN). 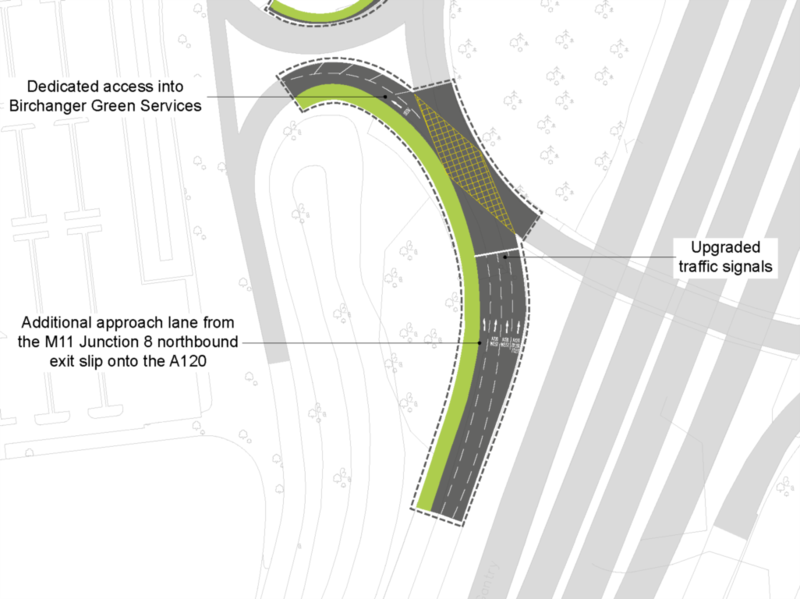 Install toucan crossings to connect both sides of the A120 to allow people who walk and cycle to pass more safely between Birchanger Lane and the A1250 Dunmow Road. To improve safety, the crossing points on the Junction 8 slip roads will be removed. Non-motorised users can instead use the recently upgraded bridleway overbridge to the north and underpass to the south of Junction 8. Install a new crossing for pedestrians to make access to bus stops safer on A1250 Dunmow Road. The revised design at the junction of Birchanger Lane / Dunmow Road / A120 will help deliver reliable bus journey times through the junction. Buses towards Bishop’s Stortford from Birchanger Lane will not need to be rerouted via the Junction 8 roundabout, as previously proposed. The owner of Birchanger Green Motorway Services has applied to create an HGV only exit road which would provide a direct link for service vehicles and Days Inn hotel traffic from Birchanger Green Services to the A1250. Whilst this scheme is not connected to our improvements at M11 Junction 8, the access road would contribute to a reduction of traffic exiting directly onto M11 Junction 8, and would be complimentary to the aims of our scheme. Details of this application can be viewed here. Statutory diversions have begun in preparation for full construction phased commencing in late summer 2019. Construction is expected to take up to two years, however the start dates and duration of works may be subject to change. Before construction starts, we will contact local groups, residents and businesses who may be affected by the scheme. Information will also be published on this webpage; this will include work phases and plans for traffic management as details become available. We held two public information events in September 2018. There are no further events planned. Thank you to all those who were able to attend our information events on 13 and 14 September 2018. The chance for us to talk to local residents about their issues and concerns is really important to the project and from this we have been able to further implement changes to the scheme. From our discussions with residents, as well as the comments submitted to our online form we understand that in particular the limited movements out of Birchanger Lane was of concern to many residents, and specifically how this may affect emergency vehicles, the local bus service, commuting to work and school / doctor visits, etc. We hope that after having taken your comments and thoughts on board the updated scheme will go some way to addressing these concerns.